As an experienced mountain climber who has reached the highest peaks on six continents, Mountain Brook businessman and lawyer Kent Stewart is accustomed to being close to danger. But no experience could have prepared him for the events of April. 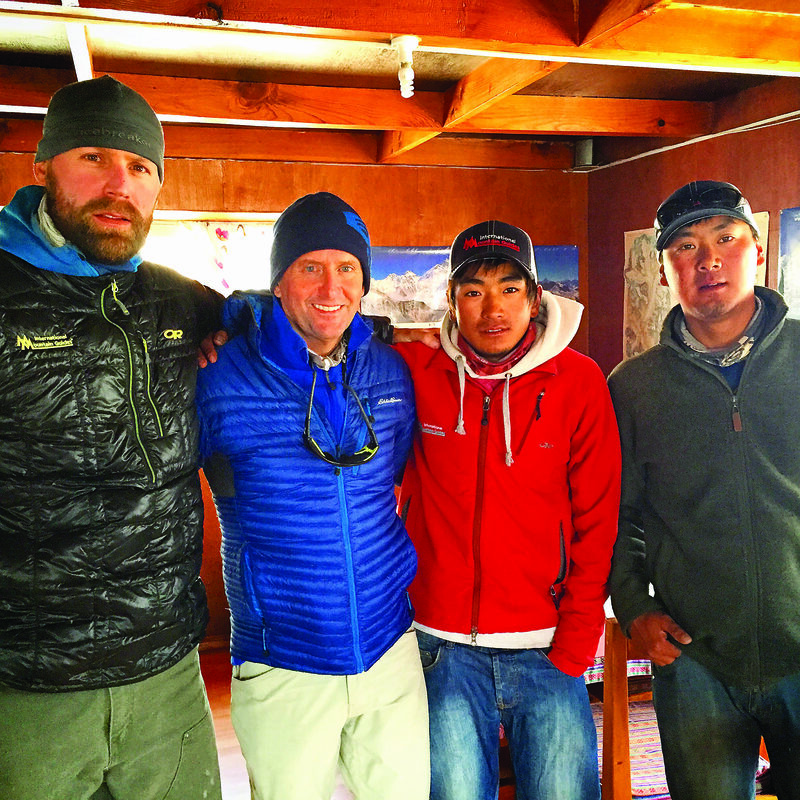 Stewart was in Nepal preparing for his second attempt to climb Mount Everest when a devastating earthquake in the area killed thousands and injured countless others. He was in a base camp tent eating a meal when the quake struck. As traumatic as the earthquake was, Stewart said it did not discourage him from climbing again. Ironically, Stewart didn’t develop an interest in mountain climbing until 2006, and that was almost by happenstance. Even after successfully climbing one of the world’s best known and most difficult summits, Stewart still wasn’t sold on his demanding new hobby. Then the hobby became a quest; Stewart wanted to climb the Seven Summits – the highest peak on each continent. After successfully climbing Kilimanjaro, the Stewarts climbed the Elbrus in Europe, Vinson in Antarctica, Kosciuszko in Australia and Aconcagua in South America. They tried to climb Alaska’s Mount McKinley – the highest peak in North America – but failed on the first attempt. 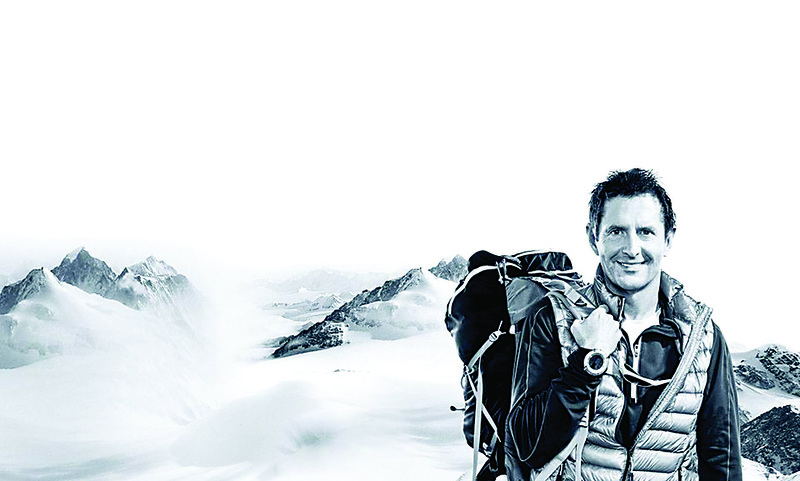 In 2011, Stewart reached McKinley’s summit, leaving only Mount Everest on his list of unconquered mountains. “Training for a mountain climb is a huge commitment of time and energy – and there’s no room for error,” he said. “There is some weight training involved, but it’s mainly aerobic work.” Stewart works with a professional trainer with expertise in climbing conditioning. The mental aspect of climbing is as important as the grueling physical routine, according to Stewart. Once a climber reaches a summit, he has little time to savor his accomplishment. Stewart joked that in some ways mountain climbing was more difficult than landing on the moon. “At least the astronauts got to walk around and enjoy it for a few hours,” he said, laughing. As far as his next attempt to climb Everest, Stewart said he would decide soon whether to attempt the climb in 2016 or 2017. In the meantime, Stewart will be sharing his story. He’ll be addressing the Mountain Brook Chamber of Commerce Luncheon on Sept. 15 at the Birmingham Botanical Gardens. 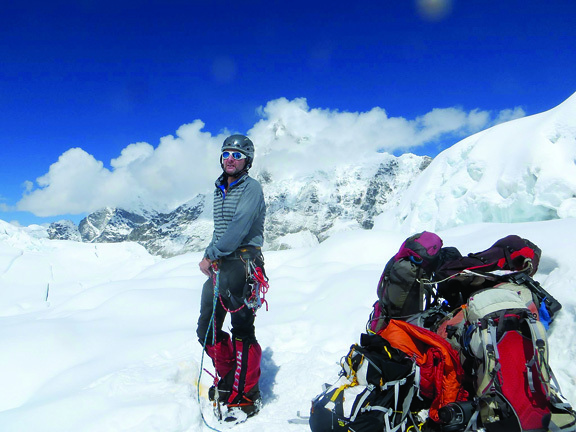 By that time, Stewart expects to know when he will challenge Everest for the third time. And for Kent Stewart, the third time just might be the charm. For more information about the Mountain Brook Chamber of Commerce luncheon, visit www.welcometomountainbrook.com.